Pennsylvania is known as the Keystone State, and that’s definitely true when it comes to starting a business. The state has its own large cities and is conveniently located to major metropolitan areas like New York City and Washington, D.C.
Over the past few years, Pittsburgh has become the poster child for how an industrial city can reinvent itself in the 21st century. It topped the list of America’s Smartest Cities — beating out Seattle, and San Francisco. The city was once a hub for the steel industry but is now a technology hub where Google, Uber, and other large companies have offices. It’s also rumored to be a contender for Amazon’s new headquarters. This vibrancy makes Pittsburgh a great place to start a new business. LaunchPGH serves as a holding place for all things startups in the city. It lists funding sources, job openings, and a directory of startups in the city — currently coming in more than 70. AlphaLab is a great resource for businesses and entrepreneurs who are just starting out. It provides mentoring and other educational events, along with up to $50,000 of initial funding. Innovation Works also helps connect investors with entrepreneurs and has more than 300 companies in its portfolio. Thanks to the influx of startups and the workers who come with them, Pittsburgh’s cultural scene is also thriving. The city is known for its diehard sports fans who pack the stadiums for the Penguins, Pirates, and Steelers, pierogies and other Polish-inspired food, and dynamic art and music scenes. Despite all of this success, Pittsburgh remains very liveable. Housing prices are much lower than other tech-heavy cities. At just over 300,000 people, the city is not prone to long commutes and traffic snarls that seem to plague other large areas. On the other side of the state, the City of Brotherly Love is also making a name for itself in the startup world. Philadelphia has 1.5 million people and is the 6th largest city in the U.S. That number grows even larger when you add the suburbs known as the Main Line. 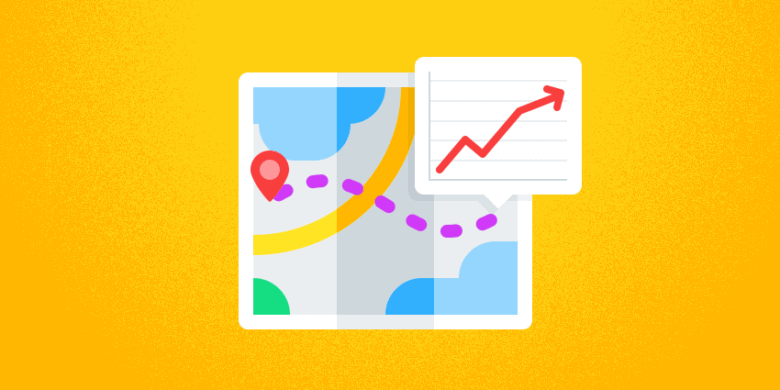 As you might expect, that means a lot of opportunity for new businesses. More than 300 startups are currently located in Philly, and many Fortune 500 companies have offices in the city or its suburbs so there’s plenty of expertise to draw from. Successful startups founded in the city include Curelate and Seer. The Philly Tech Guide helps entrepreneurs get up and running. The site has information on everything from coworking spaces to job postings. The city holds many startup-related events throughout the year including the Angel Venture Fair and Philly Tech Week. There are also more than 100 universities located in the Philadelphia region that provide additional resources. The University of Pennsylvania Innovation Fund and Temple’s Blackstone Launchpad are just a few of the resources available from the educational side. Many people know Philly for its famous cheesesteaks from Pat’s and Geno’s, but the city is about so much more than that. The Reading Terminal Market brings together hundreds of local vendors and there’s a festival or other big event happening nearly week of the year, according to VisitPhilly. This area more commonly known as the Lehigh Valley is the located just across the border from New Jersey and is less than two hours from midtown Manhattan. The cities of Allentown, Bethlehem, and Easton come together to form this region and are increasingly connected thanks to suburban sprawl and expansion. Lehigh Valley Economic Development tracks several incubators and co-working spaces in the area and produces a monthly newsletter all about startups in the region. The group also tracks how much the cost of living in the Lehigh Valley differs from New York and other close cities. For example, a two-bedroom apartment costs $1,020 in the Lehigh Valley as opposed to $3,900 in New York. Even the beer is cheaper, with a pint going for around $3.50, compared to more than $5 in NYC. The area’s Lehigh University is the home of the Ben Franklin Technology Ventures, an incubator program that’s been around since 1983. Since then, the program has launched 64 successful companies that have generated $1.2 billion in revenue. There are currently 36 more housed at TechVentures. 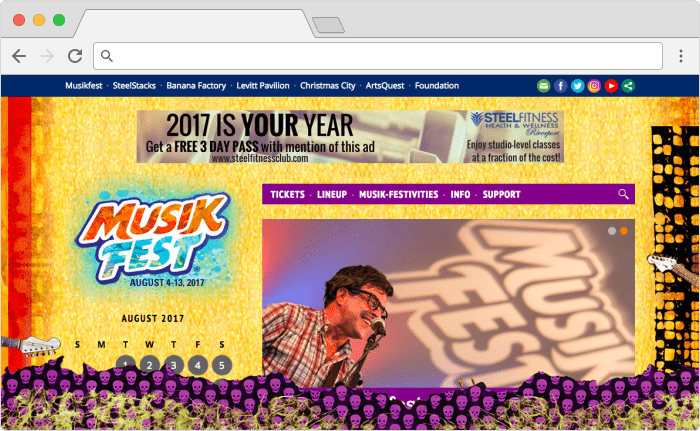 Each August, MusikFest draws thousands of music and food lovers to listen to a wide range of bands — everyone from Father John Misty to Toby Keith to Godsmack — and sample authentic German food. The festival runs for two weeks and grows every year to include more artists and more venues. Located on the shores of Lake Erie, this city of 100,000 aims to follow in Pittsburgh’s footsteps by transforming from a manufacturing economy into a technology-based economy. Every town in this situation needs one company to be its first breakout success story; could that be your company? Erie is working to break onto the startup scene in a few ways. One is through the Disrupt Erie event, which awards entrepreneurs and others who are shaking things up in the community. 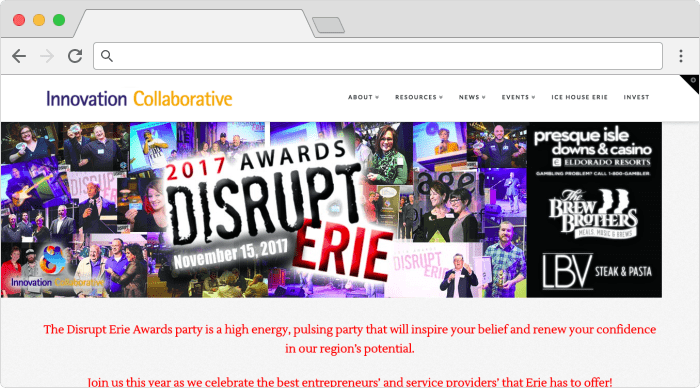 Disrupt Erie is part of the Innovation Collaborative, which highlights the stories of successful small businesses in the region and uses those stories as a catalyst for others to do the same. The Ice House helps the community prepare for jobs in the startup economy with training in problem solving, community engagement, and other skills that are critical to thrive in the 21st century. This type of training is beneficial for startups who are looking to draw employees from a community that might not be as familiar with the skills they are looking for. 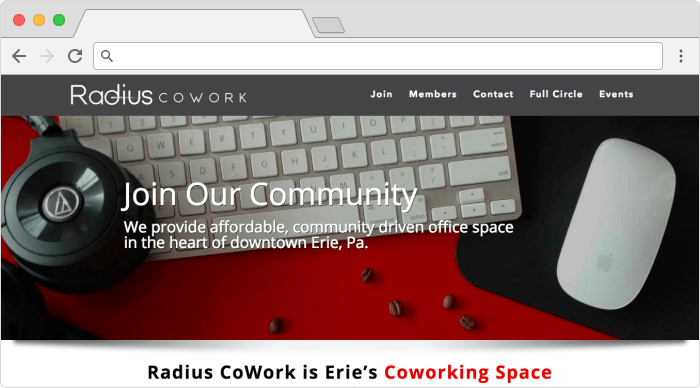 The city’s first co-working space, Radius Cowork, opened earlier this year after a few Erie natives moved back to the area and realized that it did not have space for them to work outside of a traditional office. Erie is known for its cold winters and lake effect snowfall, but the spring, summer, and fall seasons more than make up for the cold and snowy winters. Lake Erie is beautiful during these months and provides year-round recreation opportunities. The city is also within driving distance of Pittsburgh and Buffalo. The place called Happy Valley is on its way up in the startup world. This quintessential college town is tucked away in the mountains of central Pennsylvania about two hours from Pittsburgh and three hours from Philadelphia. It’s home to Penn State University, which has more than 40,000 students on its campus. Penn State has really stepped up its commitment to startups over the last few years with the Invent Penn State initiative, which brings together entrepreneurs, investors, students, and community members. The University also hosts Startup Week each year, which brings entrepreneurial alumni like Weebly founder David Rusekno. State College currently has two co-working spaces that also serve as hubs for startups in the community: New Leaf Initiative and Happy Valley Launchbox. Both of these places offer meetup events and other networking opportunities for the growing network of entrepreneurs in the area. Outside of work, 100,000 fans pack Penn State’s Beaver Stadium for football games during the fall and the university’s size brings a lot of other great events to the Bryce Jordan Center and State Theatre throughout the year. The area also clubs for outdoor activities like running, biking, hiking, and fly fishing. As Pennsylvania’s economy continues to transition from manufacturing and fossil fuels toward technology, the state is hungry for startups to make its cities the next Silicon Valley and provide opportunities for the state’s 12 million people. If you’re looking for a place that has a little bit of everything, Pennsylvania might just be it. You can settle into an established startup community in Pittsburgh or Philadelphia, or break new ground in Erie and State College. Either way, there are plenty of resources available to get your startup off the ground in the Keystone State.